All payments should be made in advance. 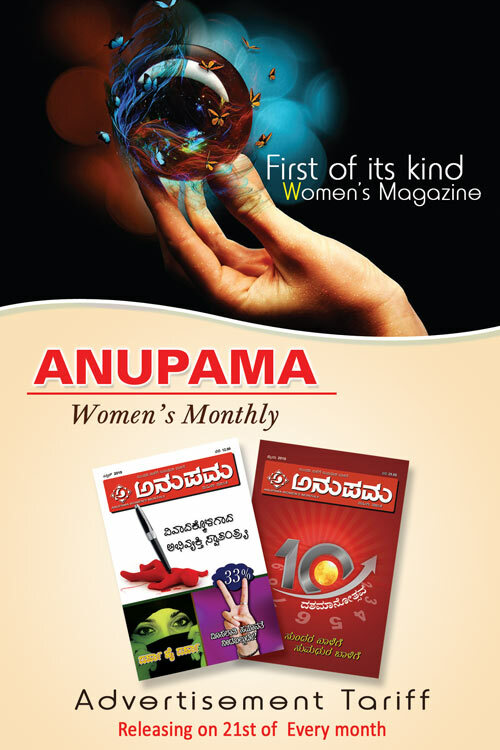 Demand Drafts / Cheques are to be made in favour of “ANUPAMA WOMEN'S MONTHLY” payable at Mangalore. Advertisement material should reach us at least a day prior publishing date. Material can be sent by email / CD. 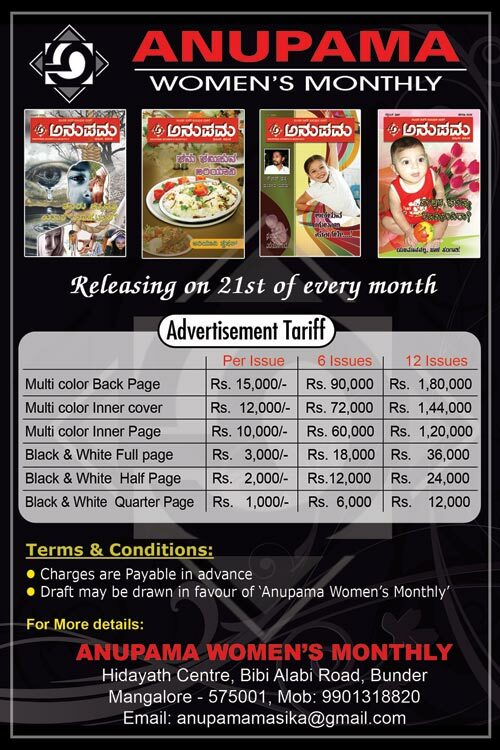 Publishing of advertisements is subject to approval and space availability. Management holds the rights to reject / discontinue advertisements without referring the client.